I've been wanting to put a Santa hat on that mouse for a very long time. hee. My first shows off the mice building a snowman, under the bear's watchful eye. I love the one mouse up on a tree stump to reach high enough! The other mouse is patting in extra snow, I think. 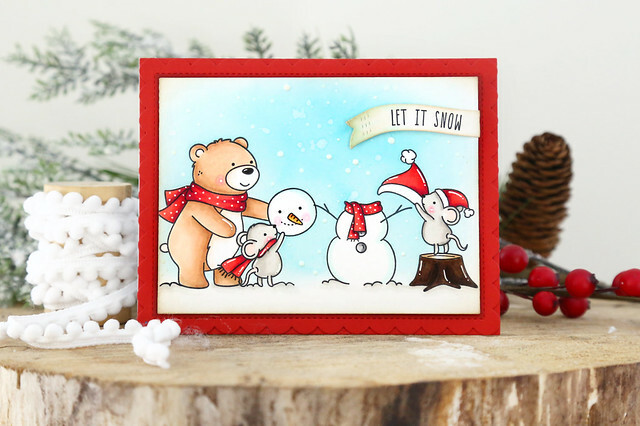 My second card shows off the same kind of scene, except that the mouse on the right has the stump, and is waiting to be able to put a hat on the snowman's head. 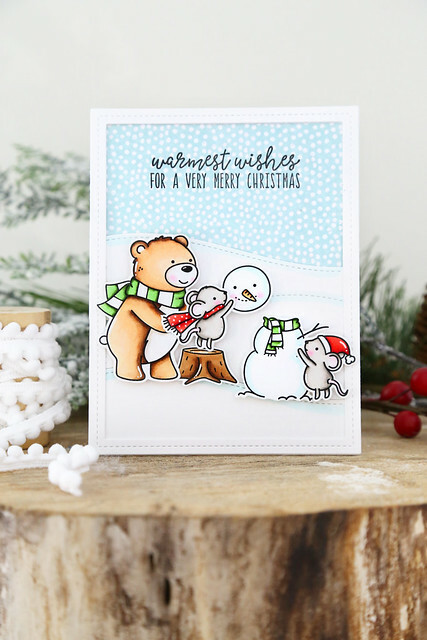 I did some masking to be able to layer the scene without dies, and doodled in some extra snow beneath the feet of the bear and mouse on the left. I used a distress oxide ink for the blue sky, and flicked water and white paint on top for the snow. 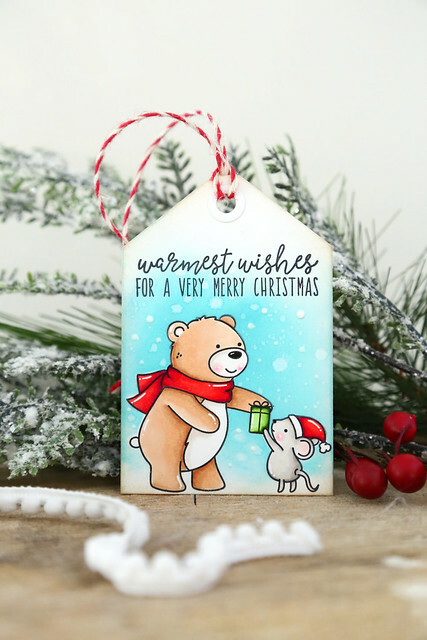 My third project is a simple tag, but so cute with this little scene stamped out! I hope you like the set I illustrated! 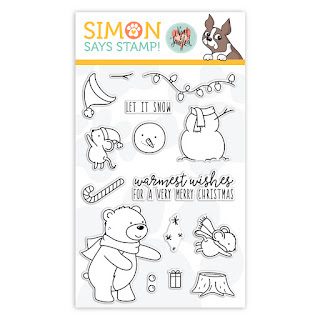 It's on sale right now EXCLUSIVELY at Simon Says Stamp, and only until quantities last. In the past few years, they've sold out of our set within a few days, so hurry!